Having a life insurance is important for any adult as it can help shoulder expenses when an individual gets older. However, not all are aware of its essence and the right ways to get a policy whether for one’s self or for a loved one. 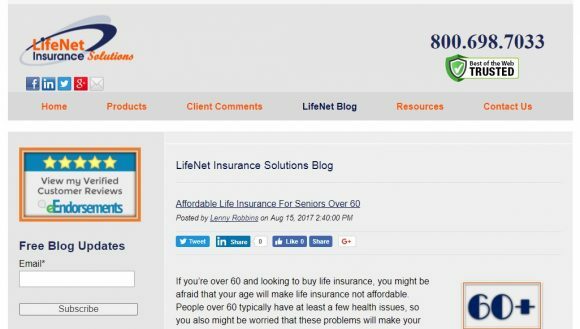 The LifeNet Insurance Solutions Blog offers valuable information on life insurance for seniors over 60, how senior citizens can get an affordable life insurance, the different policies available for them, where they find a good deal and the ways they can save money. They can also leanr about life insurance conversion on the site.